We are happy to announce that we got 10 places exclusively reserved for the InterNations members. Welcome to the opening of the VIII edition of Ascona Film Festival. The event will start with rich standing dinner at the hotel bar. Ascona Film Festival started on the social networks and after 8 years received more than 10’000 submissions from Protected content . 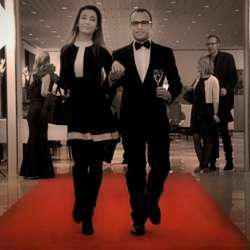 The Ascona Film Festival success is due to the concept of a nice VIP film festival in the legendary Ascona Venue at the Hotel Ascona boosted with a massive social media strategy. Spaces are limited therefore be sure that you will attend the festival if you are subscribed.